Before forming Fallon & Associates, LLC, Tim Fallon was a proud member of the law enforcement community. Tim graduated with a degree in Criminal Justice from the University of Wisconsin-Platteville in 1990. During school, he joined the Army and served as a Military Policeman for five years. After graduating, Tim worked as a civilian Police Officer for ten years. Upon retiring from law enforcement, Tim received his Life, Accident, and Health license and became a financial planner. 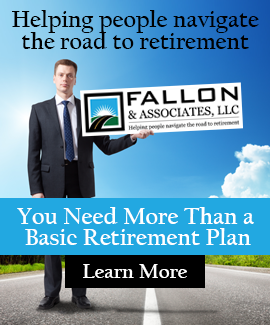 In 2002, Tim formed Fallon and Associates, LLC. The company now offers a full-service financial planning firm to include: retirement planning, asset protection, estate planning, and health insurance. Click below to view news articles featuring Tim Fallon during his career in Law Enforcement.